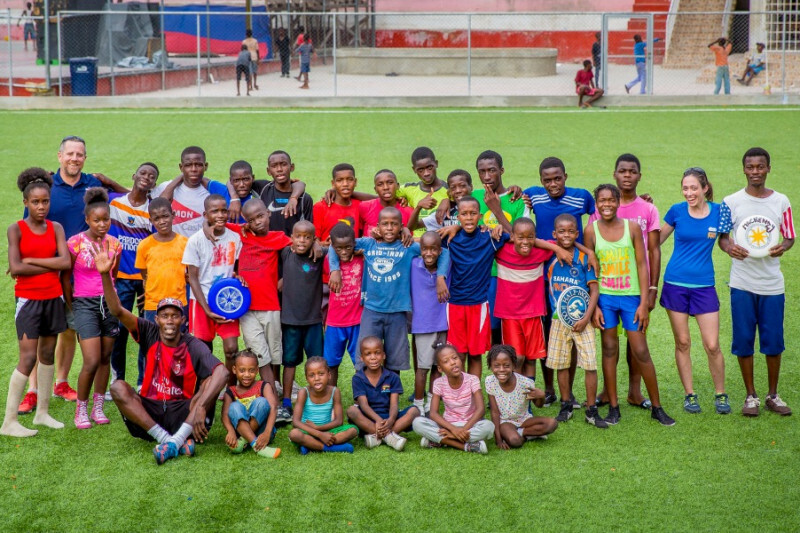 Almost two and a half years ago, Paul Peek, Erin Jenkins, and Emmanuel St. Cyr began running a weekly Ultimate Frisbee clinic for kids in the Bristout neighborhood of Port-au-Prince. Since then, the Bristout ultimate program has become something really special: a beloved space for 70+ kids to play, grow, gain confidence, and develop a love of Ultimate. 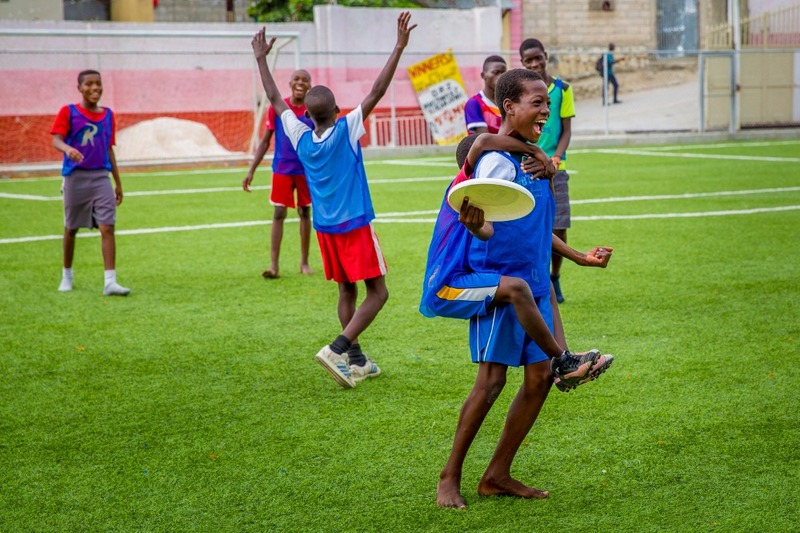 Opportunities for kids to play organized sports in Haiti are rare and often super expensive, which is why the Bristout ultimate program is so important. In the rain and in the blazing sun, the Bristout kids show up every Sunday full of joy, fired up to play and improve as athletes. Our goal is to enable this program to continue for another year, into 2020. As always, 100% of the money raised will go toward renting field space, buying cones, pinnies, water for the kids, and paying the coaches a modest stipend for their dedication and hard work. The success of Ultimate Frisbee in Haiti is thanks to all of you, the many people and ultimate players from around the world who have contributed to make this program possible! Please know that your donation brings joy, community, and a deep love of ultimate to these fantastic kids. Mèsi anpil to Paul and Erin for their vision, to friends and volunteers Drew, David, Nicole, Sydney, and others, and most of all to Emmanuel and Diego for their compassionate coaching and leadership. 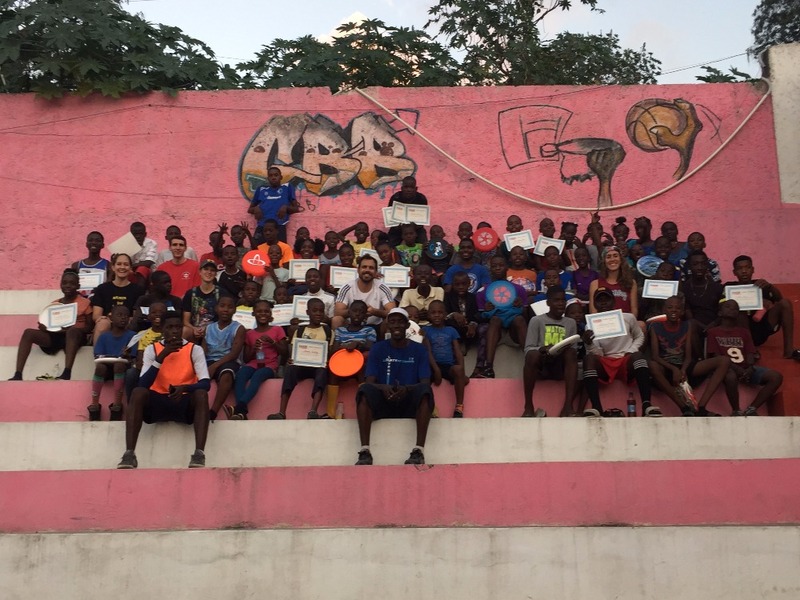 My wife Erin and I have been running Ultimate Frisbee clinics for something like 50 kids here in Haiti for about a year with the help of a couple Haitian coaches that also have a passion for the game. As we get ready to leave Haiti at the end of this summer we are hoping that we can fund the clinics for at least another year after we depart. 100% of the money raised will go toward renting field space, buying cones, discs, pinnies, water for the kids, and paying the coaches a modest stipend. If you can't contribute money, I am also looking for a couple people that can help draft, edit and/or review a WFDF grant application to obtain funds and materials to expand our little program to other kids here in Haiti. Whatever you can pitch in to help keep this happening is appreciated more than you know. Over the past two and a half years, thanks to your generosity, the Bristout ultimate program has become something really special: a beloved space for 70+ kids to play, grow, gain confidence, and develop a love of Ultimate. I've had the privilege of playing with and getting to know the Bristout kids and coaches over the last two years. It has been amazing to see the kids grow as players, developing their throws, field sense, and intensity. It is so special to witness the joy, camaraderie and love for ultimate that they bring to the field each Sunday afternoon. We've recently increased the goal of this campaign to enable this program to continue for another year, into 2020. As always, 100% of the money raised will go toward renting field space, buying cones, pinnies, water for the kids, and paying the coaches a modest stipend for their dedication and hard work. -Amazing player development from all of the kids in the program: pinpoint hucks, incredibly athletic defensive plays, layouts all over! -10 advanced players went on a field trip to watch the Haitian women's national soccer team play Jamaica at the National Stadium! The energy and excitement about supporting some of Haiti's top female athletes was electric! The success of Ultimate Frisbee in Haiti is thanks to all of you, the many people and ultimate players from around the world who have contributed to make this program possible! Please know that your donation of any amount brings joy, community, and a deep love of ultimate to these fantastic kids. Thank you, once again, for being part of such a special program! I wanted to let you all know that thanks to your efforts Ultimate in Haiti remains alive and well. The attached photo was taken this afternoon during an event to celebrate one year of playing on the awesome field at the Bristout community center in Peguyville. This would not be possible but for your generous donations. In other awesome news, we applied and were approved for a WFDF grant consisting of money and discs to keep the program running and expanding even longer. As if that were not enough good news, the organization was approved as a social partner of Aria Ultimate ( https://ariaultimate.com) which donates discs to charitable ultimate related causes. we should be up on Aria's website soon and you should buy all your frisbees from them. In addition to thanking all of you, I want to recognize the efforts of Madeline, Drew, and David, who have continued to support the program since my wife, Erin, and I left Haiti a few months ago. Last, but not at all least, I cannot express how thankful I am to Emmanuel St. Cyr, the true driver of this project and its tireless coach and booster. This project would not exist without him. Celebrating a year in Peguyville! I donated because I know how transformative ultimate and team sports can be. I also wanted to honor and acknowledge the amazing Madeline Kreider Carlson and her dedication to this program! I donated because I want to support Haiti's Ultimate community and to acknowledge the work of my friend's Paul and Erin.